Kids get lots of toys nowadays and every time they want to get more challenging and sophisticated ones to play with various features and attachments. Teddy has lots of toys to play and it is hard to impress him with something unusual. But our little man was really fascinated with new Screechers Wild! toys. Based on of the new online animated show, these are the only toy vehicles that transforms into insect creatures with explosive, 360-degree flip morphing action! Screechers Wild! series is a world where walking, talking beasts get behind the wheel of Screechers – a race car/machine hybrid that harnesses the mysterious molecular energy and transforms their sleek rides into awesome beast-powered forces! Designed for children ages 6 and up, these Screechers like came down from the screen and ready for adventures! At first glance Screechers Wild! 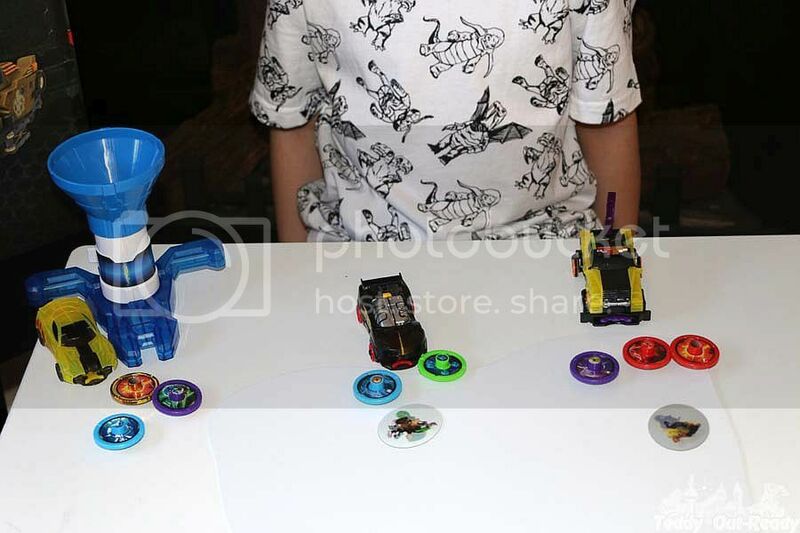 toys look like regular vehicles but just make them meet with special disks - then the story begins. 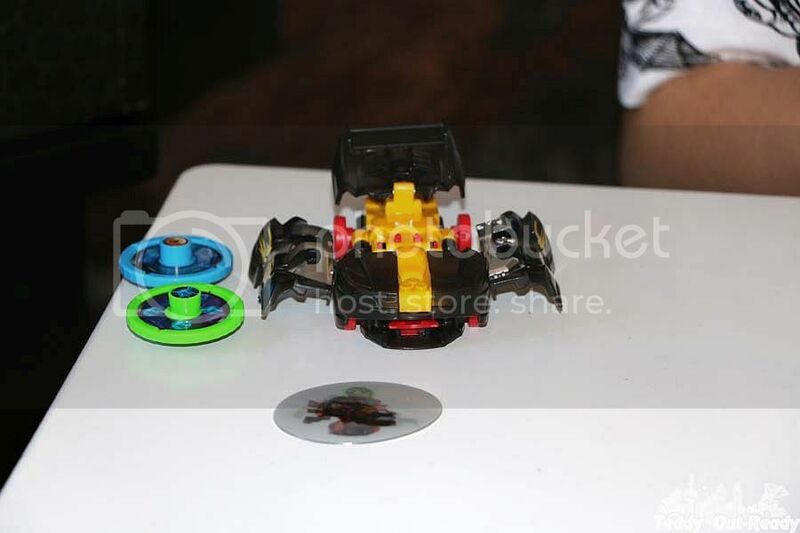 The car is activated by a disk and transforms into a critter. The most fascinating is the flipping action which works like a magic. To return the creature to a vehicle condition you need just to remove the disk and fold the pieces back into the place including bottom lever. 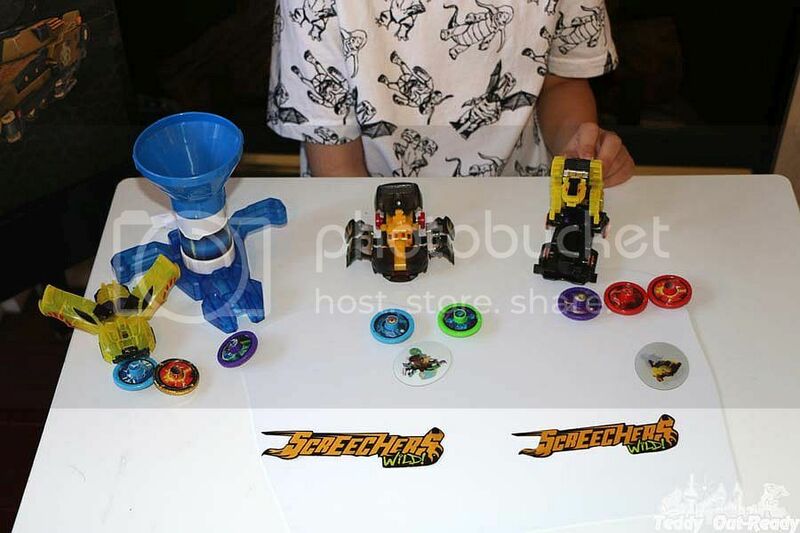 Screechers are presented as cars, trucks and SUVs and are divided into three unique categories Level 1, Level 2 and Level3, overall over 15 vehicles and more to come. We started thinking what fancy creatures Ice Resurfacer and other unique vehicles can transform into. Besides a wide selection of vehicles, there is a great choice of disks coming with every toy. These disks work for every car and have different patterns and colors. We already found our favorites. 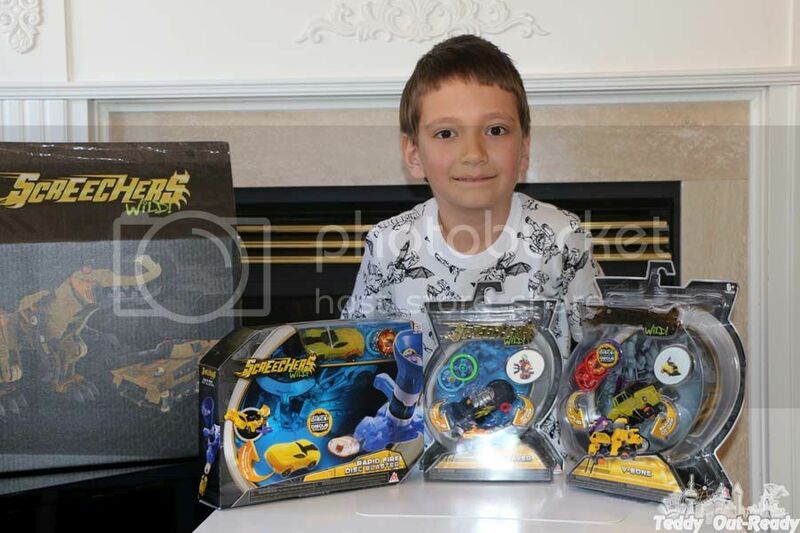 Teddy had a chance to play with Nightweaver (Level 1) and V-Bone vehicle (Level 2), and likes the most V-Bone. It transforms into very cool creature and has one extra special attachment. If you are ready for more fun then you should take a look at RapidFire Disc Blaster. It works as a disc distributor and throws disks. This was really fun to play. We loaded all disks we got and were shooting to activate our vehicles. For more fun you can always check Screechers Wild! episodes on YouTube. Besides new on-line stories, more toys are coming soon and we can't wait to check them out! Screechers Wild! Toys are really amazing. A Wonderful every kid would dream.